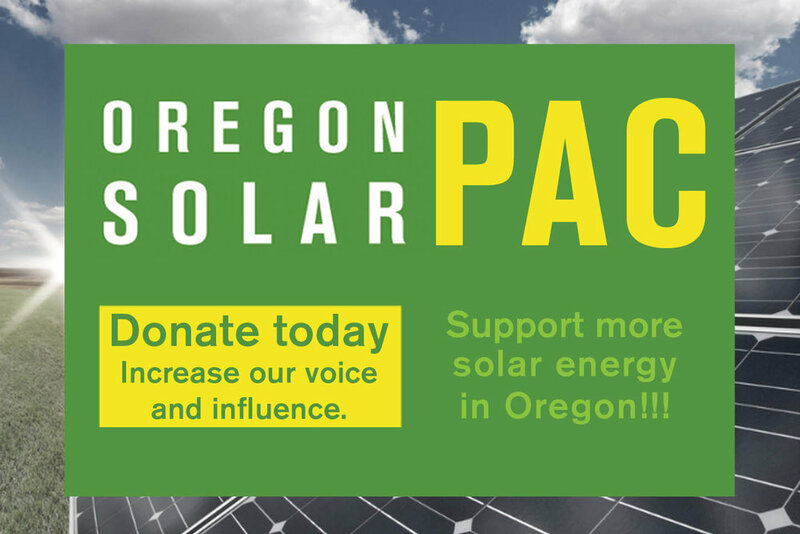 Many of you are probably aware of HB 4036, the Coal Transition/Clean Electricity bill that gives a deadline to remove coal from Oregon rates and doubles the state’s Renewable Energy Standard to 50% by 2040 for PGE and Pacific Power. The bill had its first hearings last week on Tuesday and Thursday in the House Energy and Environment Committee. The bill also contains a section on community solar, outlining how the Oregon Public Utility Commission should design a program. A stand-alone community solar bill (SB 1572) also had its first hearing last week in the Senate Business and Transportation Committee. The Senate bill is a back stop just in case the Coal Transition/Clean Electricity bill runs into trouble but that’s not expected. However, there’s been a lot of work by OSEIA board members Charlie Coggeshall and Rikki Seguin as well as Jaimes Valdez of OSEIA member NW SEED to make sure that the two bills are aligned. Lastly, HB 4037 contains the Solar Incentive Program being promoted by OSEIA member Obsidian Renewables. It seeks to establish a production-based tax credit for solar projects that are 2MW and above. A similar bill was proposed in the 2015 session and HB 4037 is a scaled down version. It had its hearings last week and on Thursday was unanimously moved out of the House Energy and Environment Committee and now heads to Ways and Means for funding. HB 4036 is expected to move from committee on Tuesday. The hope is that it goes directly to the House floor for a vote but it might first have to make a stop in Ways and Means. At least that was a strong rumor last week. We should know on Monday. We hope to see HB 4037 assigned to a Ways and Means subcommittee this week and scheduled for a hearing. And we will see the final details on community solar get worked out next week as well. SB 1572 is scheduled for a work session on Monday but we really want to see good language included in HB 4036. I’ll pass along more information on the final outcomes late next week. Renewable NW and the American Wind Energy Association have started coordinating visits to key legislators on Thursday, February 18, to support HB 4036. They have invited OSEIA members to participate in support of the bill and to highlight other solar issues. There are going to be opportunities upcoming to contact your legislators via phone or e-mail in the next couple of weeks. But having some solar professionals and business owners in the building on February 18 would be a big help – and would go a long way in showing solar’s strength. Even 6 to 8 people would be significant. Send me an e-mail (jeff@oseia.org) to let me know you’re interested and we’ll get you assigned to a group meeting with various legislators.